Visit Halifax's best kept secret! 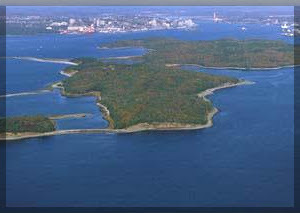 McNabs Island is the largest island at the entrance of Halifax Harbour in Nova Scotia. Part of the McNabs and Lawlor Islands Provincial Park, McNabs Island is only a short boat ride from Halifax or Eastern Passage, but feels like a world away with its colorful past and unspoiled natural beauty. 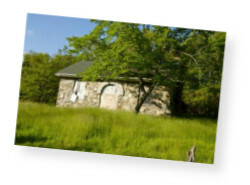 Promoting and preserving McNabs Island’s many historical and natural features is the Friends of McNabs Island Society, a volunteer, non-profit charity. Beyond hosting events such as picnics, nature and historical tours, the Society produces informative newsletters, a guide book, maps and brochures. 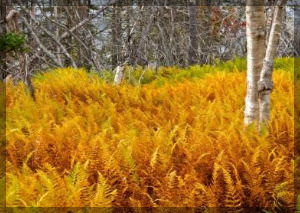 It also works with Nova Scotia Department of Natural Resources and Parks Canada to upkeep and develop park infrastructure on the island. Read the current copy of the Rucksack Newsletter here (PDF). McNabs Island in the news, media releases and more! Don't miss these must-attend events! Click above for more details! 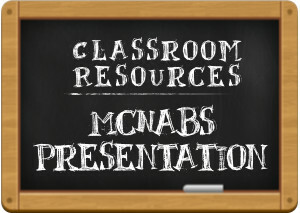 Educators please download our presentation (PDF) for your classroom purposes. Please, see more educational resources here. McNabs Island has a rich, interesting history. We invite you to read a historical overview prepared by Brian Kinsman. for the Parks and Recreation Division NS Department of the Environment in April 1995. Meet the McNab family, read about the island pre and post Europeans, its fortifications, neighbouring islands and its strange and wonderful folklore. Start reading here! Rather take in your history through galleries? Click through to our galleries of archeology, past residents, WW11 soldiers and structures.